or those applied to pipelines and storage tanks. to manufacture, to inspection points, storage tanks etc. SCI is a Spanish company which was founded in 1985 dedicated to regulatory and industrial inspection, quality control, and destructive and non-destructive testing. SCI is certified in the regulations concerning conformity evaluation for institutions which perform ISO 17.020 inspections and ISO 17.025 laboratory tests, as well as being certified in environmental management regulation ISO 14.001, and the prevention of risks in the workplace OHSAS 18.001. The values of integrity, independence, and good professional practices are applied to all of our activities and services by more than 400 professionals who make up our personnel team. One of the services offered by SCI are industrial inspections. These are intended to inspect everything that is connected with the industry, testing every aspect of equipment, from assembly to manufacture, to inspection points, storage tanks etc. As SCI has undoubtedly the most knowledgeable inspectors in the Spain, the company should be first choice for anyone needing such inspections. Through its consultation and inspection services SCI is not only able to fully comply with customer requirements but also ensures that approved procedures are implemented at minimum costs. After assessing the base materials and how they are to be used in the welding process, our skilled inspectors will ensure that the configuration of the sample fulfils the parameters of welding codes. SCI has a global presence through its 30 delegations. 23 of them are located in different parts of Spain, where it is market leader thanks to the high qualification of its technicians and professionals. It is in the area of Madrid where the headquarters is located. A modern complex that includes offices, factories and laboratories. The presence of SCI in USA focuses on Houston, where we develope, among other activities, industrial inspection, Non Destructive Testing and welding support and inspection. 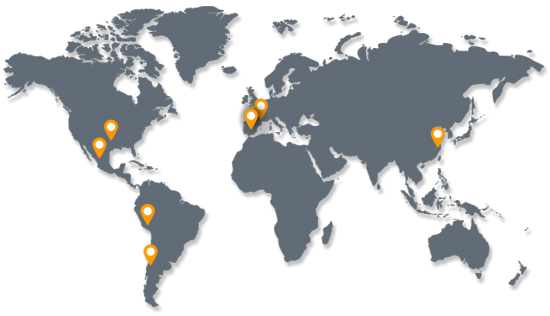 The global network of SCI is complemented by other three delegations in America (Mexico, Chile and Peru), another one in Europe (France) and also Asia (China).